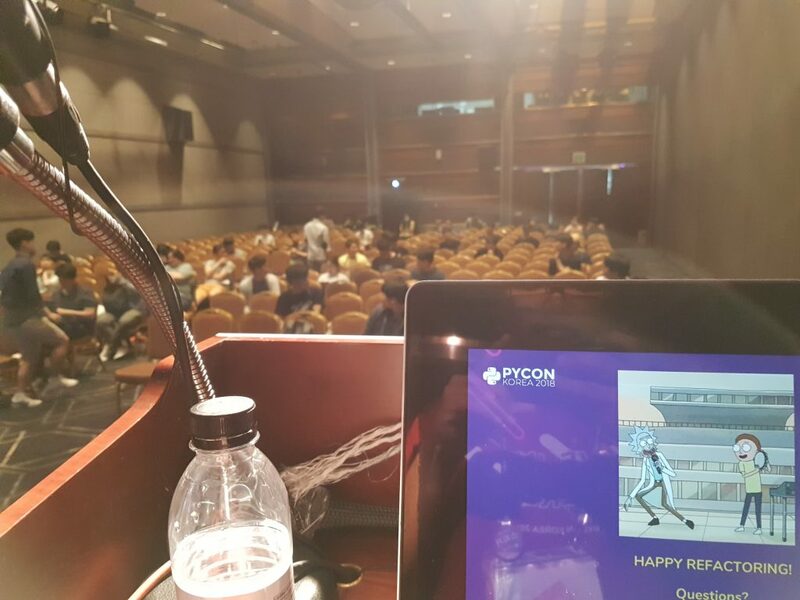 My PyCon Korea Experience – Hacarus Inc.
Last August 18-19, I attended PyCon Korea as a speaker. My expectations were somewhat mixed since it was the first international PyCon I attended. But now, I definitely think it was one of the best conventions I’ve attended so far. Here are some highlights and things I’ve learned from the event. 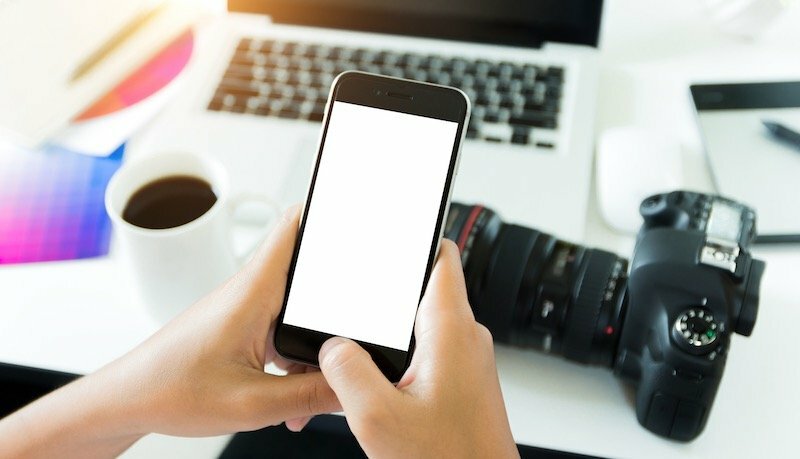 The entire event lasted for five days divided into “Sprints”, “Tutorials” and the actual 2-day conference. Sprints (Wednesday – Friday) were actual coding sessions leading to contributions to open source projects. Tutorials (Friday) were for beginners who are just starting to learn programming. The conference where I talked happened on Saturday and Sunday. This is where everyone met and gathered to listen to different talks and sessions. A day before the actual conference, I had some time to visit the venue to do some rehearsals and technical preparations. The venue was in COEX Seoul and the moment that I stepped in, I was a bit surprised to see how big and top-class the whole venue is. The first floor where the main hall is located is dedicated to the talks while there are several rooms available on the second floor for open space meet up and discussion. 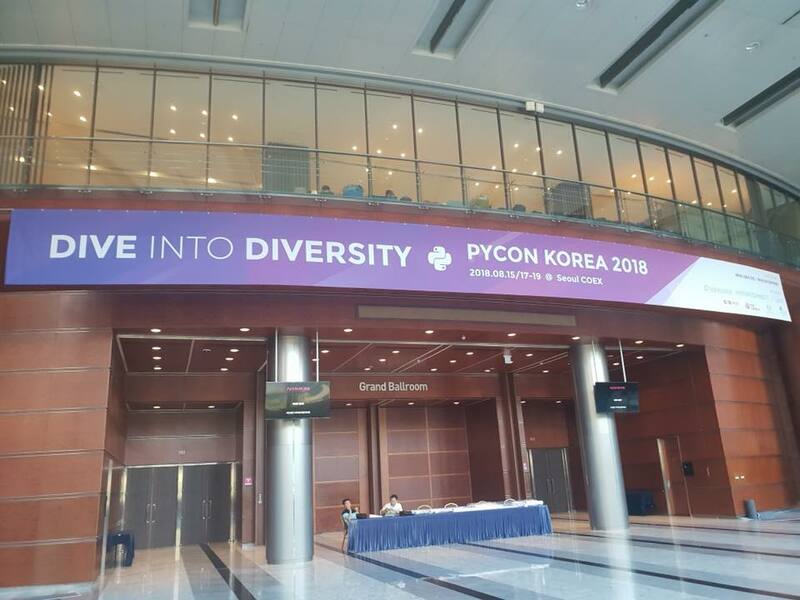 I usually see event places like this on big events such as Google I/O or F8 so I never imagined PyCon at a country level would be hosted in such a place. The whole space is also well thought of as it has easy access to a mall, subway and a nearby tourist spot for international participants. The halls provided for each talk were quite spacious and could easily host ~500 people. There were 5 halls for each of the 5 breakout sessions. During the keynote, these halls could be combined into one big room. The first day of the conference hit me with such a notable difference. “Huh, one the participants have a mom bag for her baby”. I was amazed! As I looked around in the registration and in the booths, I could clearly see a diverse mix of participants. 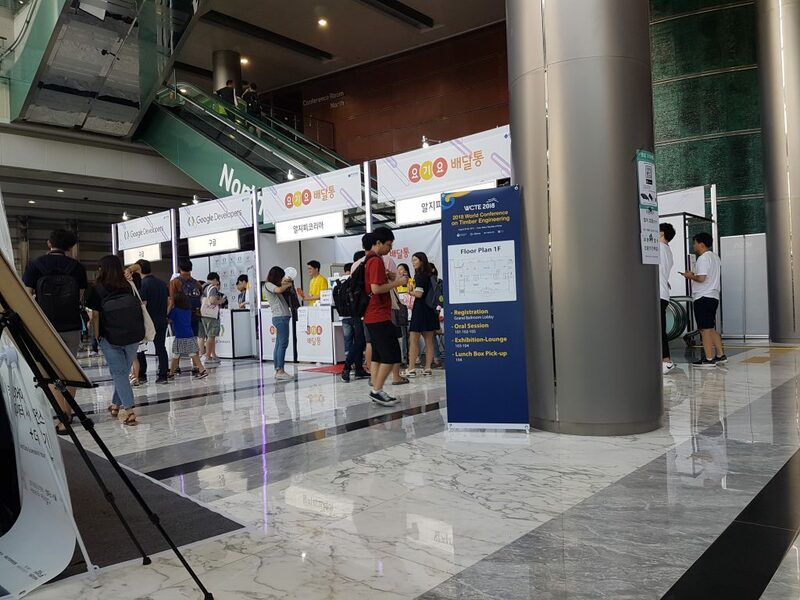 Also, the total volume of participants seemed to be quite a lot compared to other PyCon in the Asia Pacific region. I went to some of the staff and asked if all of these people are actually python developers. He mentioned that 80–90% of them really use python at all levels of expertise. As the conference progressed and we moved on to some of the keynotes, you could clearly see how well organized the audience was and how they focussed on the person speaking. 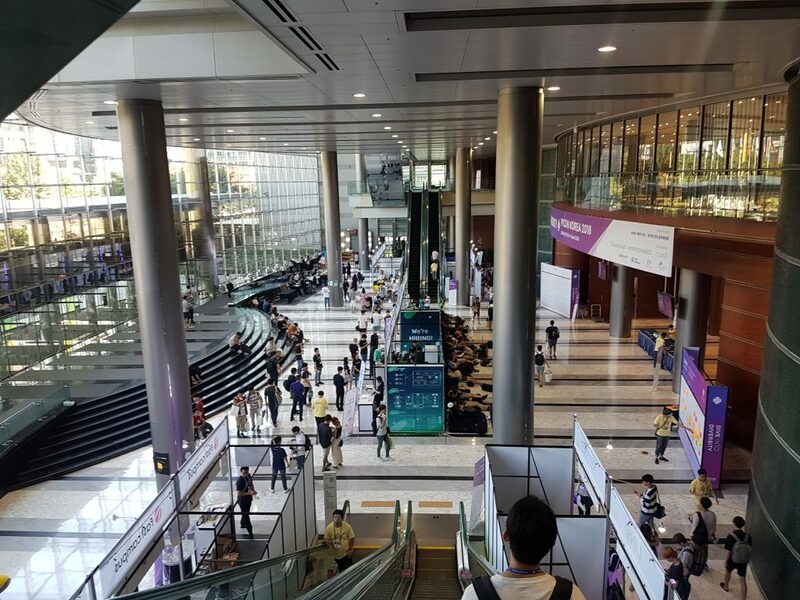 In between each keynote, there were 10 mins breaks, during which the audience actively participated in the booths just outside the hall. When the next keynote was about to begin, they diligently went back into the hall to listen. It was very organized and well directed. There were a lot of booths outside as well. As the conference progressed, we moved into breakout sessions. 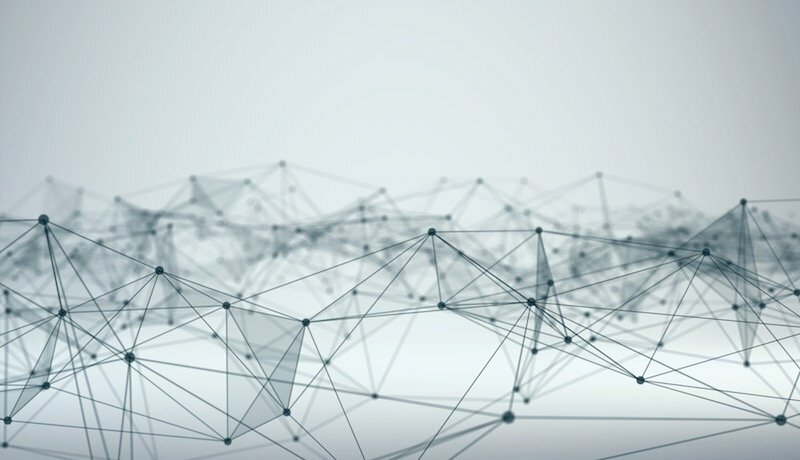 There were many topics to choose from including, but not limited to, Python Community, Data Analytics, Python Library, Development Method with Python and Deep Learning & AI. You can check out the complete list of talks here. 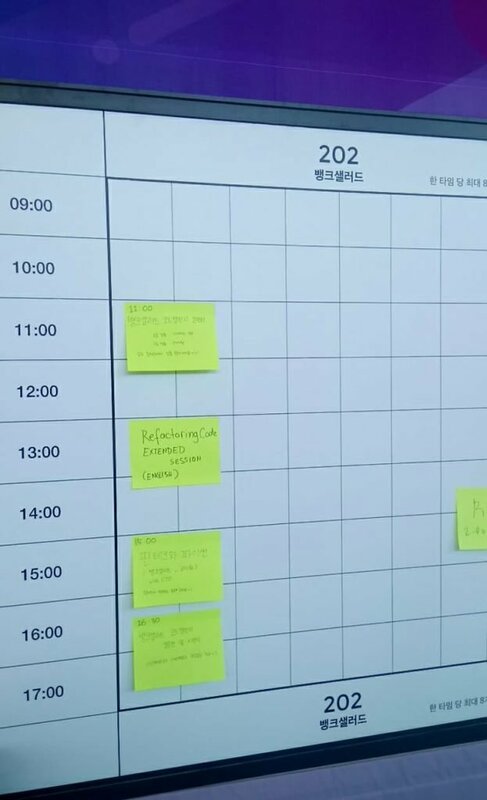 Most of the talks were in Korean but the organizers made sure that the English talks are widely distributed as there were a lot of foreign participants. My talk was about refactoring Python code. I discussed several key points on how we can improve the way we approach refactoring. This includes showing code examples that highlight faulty or unoptimized approaches. After that, I discussed several ways on how to improve code using some Pythonic design patterns and library features. The audience was quite responsive and I was a bit surprised by the turnout. Honestly, this was the biggest audience I have seen as a speaker and I was really nervous. After my presentation, I received a lot of questions so the staff asked me to organize a small group discussion in one of the open spaces provided. One thing I observed in my and in other talks was that there were quite a lot of beginner to junior level developers attending these kinds of conferences. Most of them have two years experience at max. 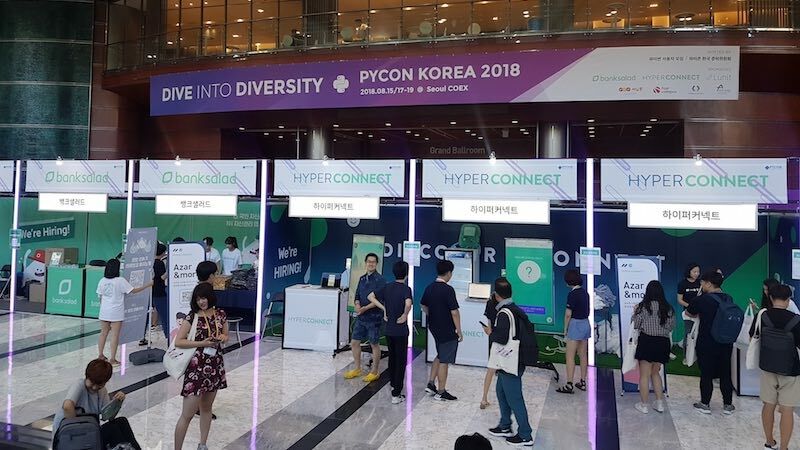 They mentioned that these kinds of events are one of the best avenues for them to learn new stuff since the startup and tech community in Korea is just booming. We also discussed several ML approaches and I introduced them to sparse modeling. They were quite impressed after reading the article written by our CTO about the introduction to sparse modeling. Other than these, I also noticed that the number of volunteers and staff present at the event were quite many. I think there were about ~60 staff/volunteers which they started recruiting since PyCon 2017. One of the organizing team members mentioned that they start recruiting for volunteer right after the previous PyCon so they can have more helping hands. To the next Python event! After the event, the speakers were invited to a dinner party. Of course, I had to go! Who doesn’t want free delicious food! I met some other foreign speakers and participants. 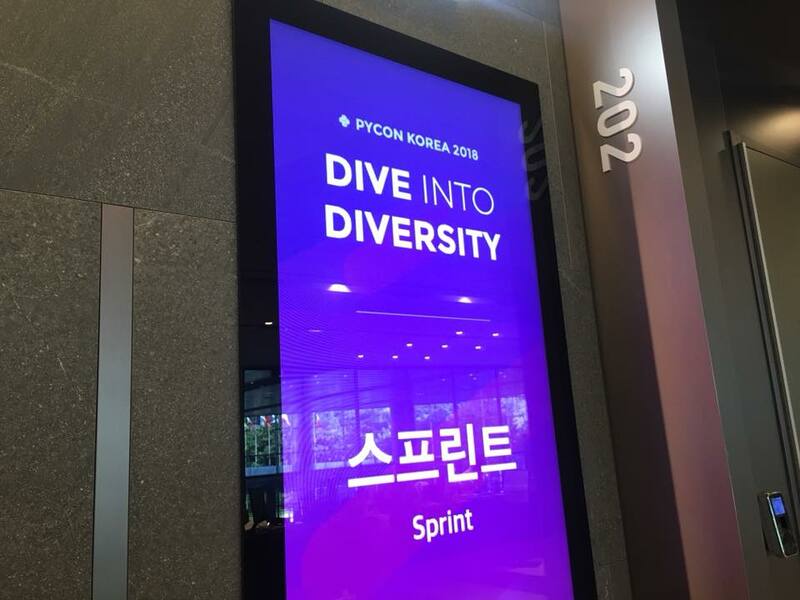 We discussed how PyCon Korea is a culmination of features from different PyCon events in the APAC region. It was inspired by several ideas from PyCon Japan, Taiwan, India, Philippines and other Asian countries. We also discussed how Python itself affected the whole software development industry in general. The key takeaway was that Python allowed other industries, especially in the sciences, to influence current trends in software development. Most importantly, it bridges the gap between these fields allowing them to work and co-mingle with each other. Overall, it was beyond of a great experience. I’ve learned a lot of stuff about Python and how it shapes communities throughout APAC. I’ve met a lot of community leaders/Python experts as well so who knows, maybe I’ll be there in the next Python event near you!